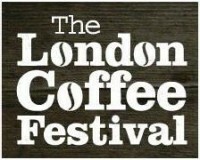 Welcome to the fourth of my detailed London Coffee Festival Saturday Supplements. To see what I made of the festival as a whole, take a look at my round-up. In this series, I’ve been covering individual aspects of the festival. So far I’ve looked at the interesting coffee kit that I came across, written about my coffee experiences and recounted my time at the La Cimbali Sensory Sessions. Now it’s the turn of the cups, which, much to my surprise, turned out to be by far the most popular of my posts about last year’s London Coffee Festival. I’m very picky about my cups: a bad cup can ruin an otherwise great cup of coffee. If there’s one thing I can’t stand it’s good coffee, especially espresso, in a paper or plastic cup. The advent of the glass reusable cup was therefore just what I was looking for. Last year, I picked up a couple of re-usable glass cups from KeepCup and its Australian cousin, JOCO Cups, which revolutionised my experience of drinking takeaway coffee. This year, I widened my net to include two new entrants onto the market, both of whom had plastic re-usable cups: UPPERCUP and Frank Green. You can see what I made of my haul after the gallery. Before I start my round-up, I just want to say what a pleasure it is so see so many high-quality reusable cups out there in the market. The four that I’ve been using are all worthy additions and are helping reduce the ridiculous number of paper cups that we, the coffee drinkers of the world, throw away each year! Whichever one you use, please get yourself a reusable cup and get into the habit of taking it with you wherever you go. For more on reusable cups, including several which have been launched in subsequent years, please see the Coffee Spot Guide to Reusable Cups. Now, with the sermon over, let’s get down to the cups. I’m going to start with the undoubted market leader, KeepCup. KeepCup is so dominant, and such a recognisable brand, that even now I’ll hand over my (glass) JOCO Cup and baristas will say “what a nice KeepCup”. Even my UPPERCUP, which looks nothing like a KeepCup, while sometimes get confused for one! KeepCup, it seems, is the new hoover, biro or thermos. On the other hand, JOCO Cups and the other new entrants, UPPERCUP and Frank Green, aren’t helping themselves with some very anonymous branding (although I hear that Frank Green is addressing this). If there’s one thing that KeepCup has nailed, it’s the branding. I had previously had a plastic KeepCup, but I didn’t really get along with it, finding that I could taste plastic. However, last year saw the launch of the KeepCup Brew, an 8oz glass reusable cup with a cork band, the answer, it seemed, to my prayers. I came away from last year’s London Coffee Festival with two KeepCups: a Brew, which I bought, and a standard glass one (also 8oz), with a plastic sleeve, which was a gift from KeepCup. Of the two, I much preferred the Brew, the cork band making all the difference. However, in nine months of use, it was starting to look rather chipped and had developed a small split, so I question its durability. My big worry with the glass KeepCup was whether it would survive being carried around in my rucksack each day. To put my mind at rest, one of the staff on the KeepCup stand last year took a glass KeepCup and dropped it on the (carpeted) floor! I was very impressed (and relieved) to see that it bounced! However, after a year’s usage, I can report that KeepCups aren’t indestructible, since both my KeepCups have bitten the dust. The first fell off the top of a water cooler while posing for a picture in a Dublin market and met its doom on the harsh, unforgiving Dublin flagstones below. The second, the Brew, jumped out of my rucksack at home and met a similar fate on the stone tiling of my kitchen floor. I was so upset about the loss of my second KeepCup (and so dependent on having a decent, reusable cup) that the first thing I did was go out and buy a replacement. I was also given another KeepCup by my friends at The Roasting Party, which, unsurprisingly, has Roasting Party branding on the sleeve, another area where KeepCup has an advantage over its competitors. So, what do I actually think of my KeepCup? Well, I wouldn’t be without it or one of its compatriots. Coffee tastes excellent when drunk from it. My only caveat is that I never drink coffee through the lid, always taking the lid off before drinking. However, of the lids, I find it the easiest to take on and off, and, with the exception of Frank Green, it’s the most secure of the reusable cup lids. The reaction of baristas is also almost universally positive, although I know a couple who find that the interior lip of the KeepCup hampers the pouring of latte art. Verdict: you can’t go wrong with a (glass) KeepCup. JOCO Cups is another Australian manufacturer of reusable cups. The big difference between JOCO Cups and KeepCup is that JOCO only makes glass cups. I came across them at last year’s London Coffee Festival when the nice lady on the stand of JOCO’s UK distributors, Uberstar, pulled me aside and thrust a lovely, classic, 8oz black JOCO Cup into my hands. As much as I liked my KeepCups, I also adored my JOCO Cup. In terms of design, there’s not much between the two. I marginally prefer JOCO’s wider plastic band, although it’s still not quite as good as the cork band on the KeepCup Brew. The flexible, silicon lid isn’t bad and while I can’t comment on how it affects the taste of the coffee (since I never drink through it), I just feel the KeepCup lid is slightly more secure. I will say that in almost a year of usage, my JOCO Cup outlasted both KeepCups, demonstrating a far superior sense of balance. Unfortunately, while JOCO Cups claims its products to be dishwasher safe, one day I put JOCO Cup in my dishwasher and when I came to take it out, the entire top rim had cracked all the way around, rendering my beloved JOCO Cup unusable! Having heard of my plight, the fine folks at Uberstar handed me a replacement cup at this year’s Coffee Festival. Now, in defence of JOCO Cups, the design has been changed, with a definite thickening of the cup’s upper lip. That said, since my original dishwasher incident, neither JOCO Cup nor KeepCup have been anywhere near my dishwasher! I also picked up an insulated 6oz glass JOCO Cup, the Lux, an ideal size for the perfect flat white. Sadly this isn’t designed to be portable (it has no lid, for example), aimed instead at the café trade. I did take it around the Coffee Festival and everyone who used it liked it. It also gets a lot of use at home, where it’s proved a lot more durable than the (admittedly beautiful) 4oz double-walled glass cups I also use. Going back to the 8oz JOCO Cup, other than baristas mistaking it for a KeepCup, I’ve had no complaints. I also like using it. If I was forced to choose between my KeepCup and my JOCO Cup I think I’d have to toss a coin, there’s that little between them. Verdict: you can’t go wrong with a JOCO Cup either. What is it with Aussies and reusable cups? The third entrant is UPPERCUP, another Australian product, being distributed in the UK by Caravan. What sets UPPERCUP apart from its rivals is that it’s made of plastic. While this might seem a retrograde step, given my dislike of plastic KeepCups, the secret’s in the plastic, which is BPA-free Tritan copolyester, an odourless and tasteless product which makes it ideal for a reusable coffee cup. I’ll confess that I was initially sceptical, but the guys on the UPPERCUP stand did a good job of convincing me to give it a go (giving me one to take away probably helped). Since then, I have to say that I’ve been pleasantly surprised. While it’s still not quite the same as drinking out of glass, for milky drinks there’s really no difference. However, for espresso or black filter coffee, I’m less convinced. That said, the UPPERCUP has four major advantages over its glass rivals. The first is weight. Slip a KeepCup Brew or a JOCO Cup in your pocket and you’ll notice it. They’re both chunky beasts. In comparison, the UPPERCUP is incredibly light. Secondly, it’s practically indestructible. I’m sure if I drove a bus one, it’d break, but otherwise, I needn’t worry about my UPPERCUP dashing itself to pieces on hard stone surfaces. Thirdly, you can take it almost anywhere, including major sporting events which frown upon you bringing in glass of any form! Finally, the double-walled plastic construction is very-well insulated: pop in a flat white and wrap your hands around the UPPERCUP and you can hardly feel the heat. Of course, that means it’s useless for warming your hands on a cold winter’s day, but you can’t have everything! Now to the downsides. While KeepCup and JOCO Cup are almost universally admired by baristas, the same cannot be said of UPPERCUP. Although its looks are universally admired, when it comes to usability, it’s the marmite of the re-usable cup world! Baristas either love it or hate it, haters outnumbering lovers by about 2:1. The principle dislike is due to the colour/shape: a relatively long, black cylinder, baristas complain that they can’t see the levels when extracting espresso. The obvious solution is to use scales, but not everyone likes to use scales and those that do find themselves defeated by UPPERCUP’s length. On an average espresso machine, it’ll just squeeze under the portafilter: add a set of scales and there’s no chance. The other complaint is that the shape makes it hard to pour milk, while the relatively narrow mouth makes it harder to do pretty latte art. The UPPERCUP lovers, in contrast think it’s wonderful and can’t see what their fellow baristas are complaining about! My main complaint is the lid. When it’s on, it’s a very snug, secure fit, topping even the KeepCup. However, it’s extremely hard to get the lid on in the first place. There’s a definite art to it and a real danger that you’ll up-end the cup in trying! The counter-point to this is that it’s equally hard to get off again! Despite these short-comings, its light weight and hardiness make the UPPERCUP a natural travel companion. I recently took mine on my three-week coast-to-coast trip across the USA and while I still prefer JOCO Cup and KeepCup for day-to-day use, for long trips, you can’t beat UPPERCUP. Verdict: ideal for the hardy traveller or for slipping into your pocket. The fourth and final entrant this year is the Frank Green SmartCup, another Aussie. What is it with them, coming over here and making our coffee better? Like the UPPERCUP, Frank Green is made of BPA-free plastic, in this case, an inner, clear cylinder, surrounded by a thick, cylindrical layer of insulation. It’s also a very distinctive product, completely unlike the other three: no-one has ever confused it with a KeepCup! Like the UPPERCUP, its weight and construction mean that it’s light, practically indestructible and good for sporting events. However, it’s a big beast (more of which later), so it doesn’t slip as easily into your pocket. Where it really scores is the lid. This is a screw-on, screw-off affair, which seals completely tight, meaning it’s the only one of the four that you can fill with liquid and be certain it won’t spill. Getting the lid on and off is also a dream. The lid contains Frank Green’s other major selling point. It has a chip in it, which supports both loyalty cards and payment methods. Called CaféPay, this means you can actually pay with your cup and, for example, automatically get a discount since your using a reusable cup. Obviously how useful this becomes will depend on how many retailers support it. It’s clearly a neat feature, but I can’t help feeling it’s a solution looking for a problem. Perhaps I’m wrong, but I’ve never found myself in a coffee shop thinking how great it would be if I could pay with my cup (although in fairness to Frank Green, I’m not exactly the target market; for busy commuters getting their morning coffee, it could be a real boon). Now for the downsides… The main one is that it’s just too damn big. Unlike all the others, which are 8oz, the smallest Frank Green is a 12oz cup (although see the update below) and it’s a tall one at that. The chances of it slipping under most espresso machine group heads are slim, so it’s not ideal for espresso-based drinks, unless you’re at the sort of place that extracts into small cups regardless, then pours the coffee into the larger cup. Despite being tall and, due to its insulation, bulky with it, the actually cylinder is quite narrow, making latte art really hard. Every barista I tried it on hated it (although since writing this, I’ve increased my sample-size and would say the spilt is now 80/20). The verdict: if you’re a 12oz latte drinker, or like bulk-brew to go, this is cup for you. News Flash! Frank Green now also does an 8oz SmartCup. This has all the advantages of the 12oz cup, plus it’s significantly smaller, which means that it now fits under some espresso machine group heads. However, it’s still quite a bulky cup. However, if keeping your drink hot and having a non-spill lid are critical factors, this is the cup for you. I want to thank Uberstar (JOCO Cup), The Roasting Party (KeepCup), Caravan (UPPERCUP) and Frank Green (SmartCup) for the kind gift of the cups that were featured in this Saturday Supplement. For more on the KeepCup, JOCO Cup, UPPERCUP, SmartCup and other reusable cups, please see the Coffee Spot Guide to Reusable Cups. This entry was posted in Coffee Kit, Festivals/Awards by Brian Williams. Bookmark the permalink. I think you will find that KeepCup like Joco cups is Australian. I bought mine and one got my sister in a Melbourne design store before anyone ever thought of importing them into the UK. I still contend that I have the first one to be imported! They’re all Australian! It seems that they’ve cornered the market!! Keep Cup wins for me too . I love the clean-ability factor of the KeepCup also. I found that the Frank Green cup took a lot longer to clean and the lid started to smell even after thorough cleaning after even use. It is difficult to see anything positive about the Frank Green so-called smart coffee cup. It lacks the elegance of a KeepCup. The chip in the lid to pay for a coffee, a pointless gimmick, which also raises privacy issues. What is wrong with cash?